Carey Olsen Bermuda partner Keith Robinson provides a round-up of the most significant recent Bermuda trust cases. The last 12 months have seen the Bermuda Court issue a number of important decisions in trust cases. The Trust Law Reform Committee of the Bermuda Business Development Agency remains active and has recently proposed further legislative reform that it is expected will be considered by the Bermuda legislature later in 2018. Prior to the 2009 Act, the perpetuity period under Bermuda law was 100 years. The 2009 Act effectively abolished the rule against perpetuities as a matter of Bermuda law prospectively, save for trusts which held Bermuda land. Thus, in respect of trusts holding assets for ultra-high wealth international families established on or after 1 August 2009, those trusts could be of indefinite duration, something which is often of particular appeal to settlors interested in a dynastic settlement. With regard to trusts which had been established prior to 1 August 2009, there was no straightforward method to perpetuate them. The 2015 Amendment Act addressed this issue with an amendment to s.4 of the 2009 Act. This section now provides that the Court has clear jurisdiction to grant an order on the application of the trustee extending the duration of Bermuda law trusts which were in existence prior to 1 August 2009 (again excluding trusts of Bermuda land) or trusts governed by a foreign law (whether established prior to or after 1 August 2009). The test to be applied by the Court under s.4 is a discretionary one. Section 4 was first considered in Re The C Trust,[ii] in which Chief Justice Kawaley held that it could be appropriate to grant relief under s.4 on an ex parte application by a trustee, provided that the Court was comfortable that any adverse impact on beneficiaries had been properly considered. The principles which Kawaley CJ set out in the C Trust were: (a) the Court should not act as a ‘rubber stamp’; (b) the Court should have regard to the best interests of all interested parties, broadly defined and looked at as a whole; and (c) the fact that extending the duration of a trust will dilute the economic interests of existing beneficiaries will ordinarily be an irrelevant consideration. In the G Trusts, the Court granted the application to extend the duration of trust. The factors which Kawaley CJ took into consideration included: the family whose wealth was held in the G Trust genuinely looked on wealth as dynastic; and the distribution of wealth to the generation that happened to be in existence at the conclusion of the existing perpetuity period could be detrimental in a number of respects, including in terms of taxation and the resulting dissipation of the family wealth. The case is also of considerable interest in two further respects. It considered whether the provisions of the Bermuda Children Act 1998, which abolished the concept from Bermuda law of illegitimacy prospectively from 2004 onwards, would apply to a foreign law trust (such as the G Trust) or instruments made under such a settlement on a change of governing law to that of Bermuda. The Court held that it would not, and thus it follows that a valid restriction of the beneficial class to legitimate issue in a foreign law trust would endure upon the trust becoming governed by Bermuda law. The Chief Justice also considered the practice of the Bermuda Court of anonymising trust cases in uncontentious cases, and held that this practice was constitutional and ought to continue in appropriate cases. 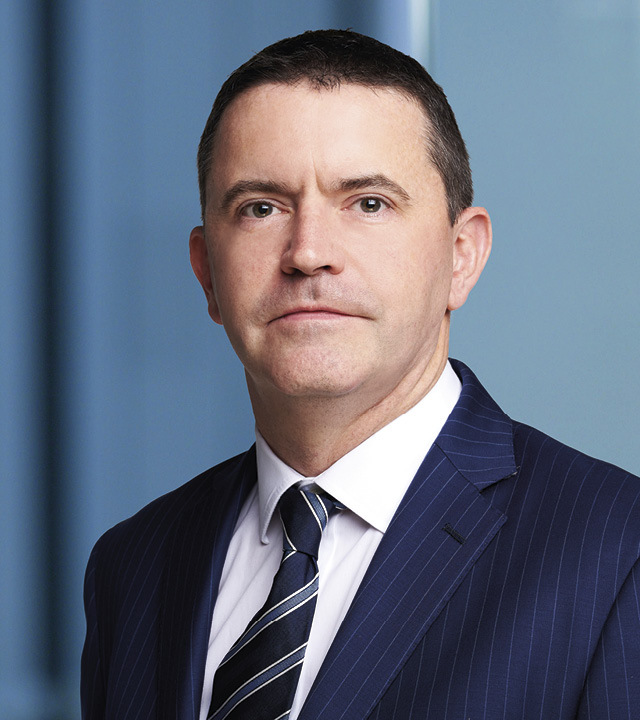 We have only touched on the large body of recent trust case law emanating from the Bermuda Court, the most recent of which is the important decision in In the Matter of the X Trusts,[iii] in which it was held that the Court did not have jurisdiction to compel the directors of a private trust company to resign. We have demonstrated, however, that Bermuda remains the pre-eminent offshore jurisdiction for confidential and flexible trust restructuring. Keith Robinson co-authored this article with Alex Anderson of Conyers Dill & Pearman. It was originally published in the 2018-2019 edition of Trust Bermuda, December 2018.